Authored by scottpetrovic on Jan 20 2019, 6:45 PM. This adds a couple checkboxes to the main menu by wrap-around mode. You can specify to show the horizontal or vertical axis. There is one part I need to change...but I cannot figure out where it is in the code. The current patch limits the canvas display to horizontal or vertical, but the actual painting still always wraps both vertical and horizontal. Where is the painting calculation for that being done? Even with its current limitation, this is still a pretty helpful patch I think. Turning Wrap-around mode on and off. Turning the horizontal land vertical modes on and off from the main menu. The canvas display should update accordingly. 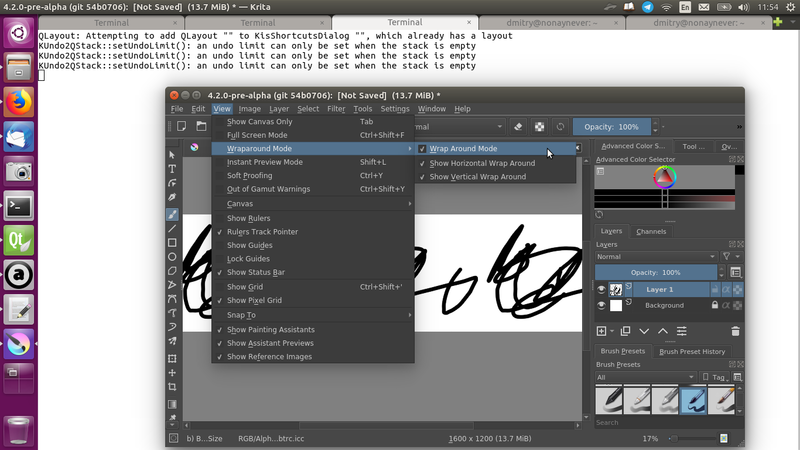 BUG: If you enable QPainter canvas, then enable Wraparound (which will be effectively disabled), then switch back into openGL canvas, the WA mode will not be enabled automatically. The checkbox will still be enabled, but WA mode will still be off. 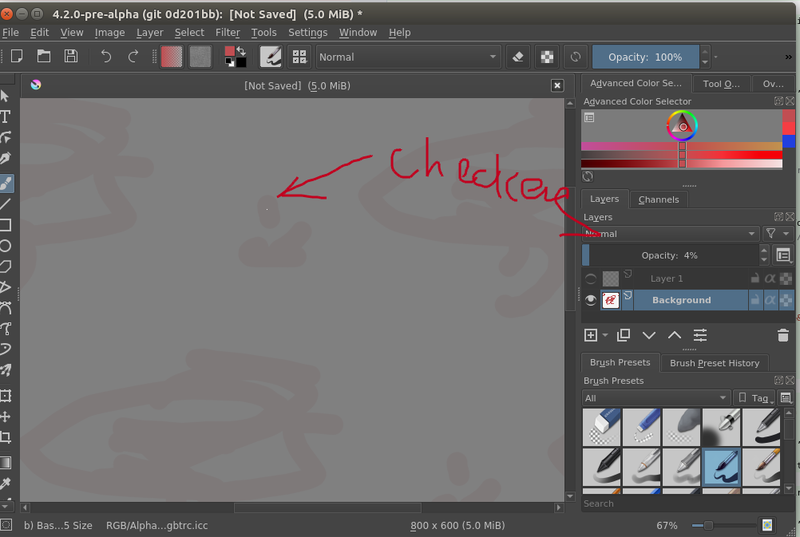 MAJOR BUG: the state of the checkboxes is not recovered after Krita restart. I see you somehow save it into kritarc, but after restarting Krita the checkboxes are always in all-checked state. 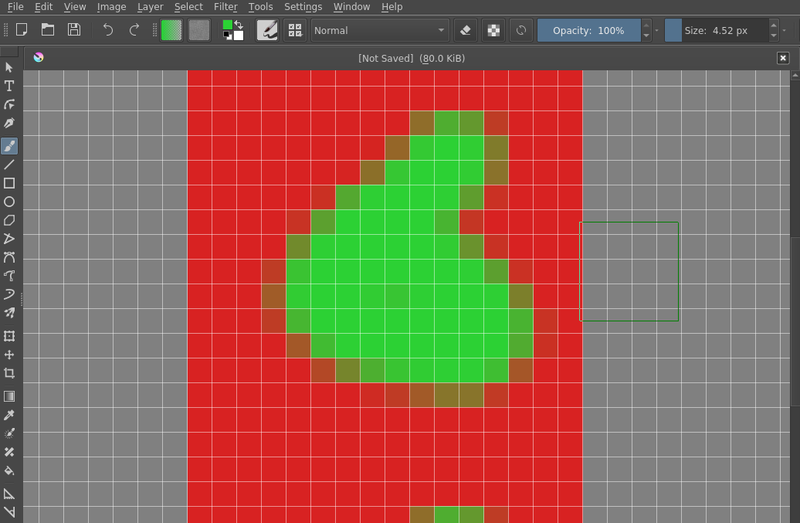 DISPUTABLE: when Horizontal WA Mode is active in the viewport, the strokes are still wrapped in vertical direction. I see that you used "Show..." prefix for the directional options, I guess you wanted to make it more clear that these directional options are only for "showing", not for the WA mode itself. Pehraps we could change the wording a bit more to make it absolutely clear it is for view only? It looks like the wrap-around mode doesn't maintain its state in master either, so I had to add a bit of notification logic to get that to stay in sync better when flipping OpenGL on and off. 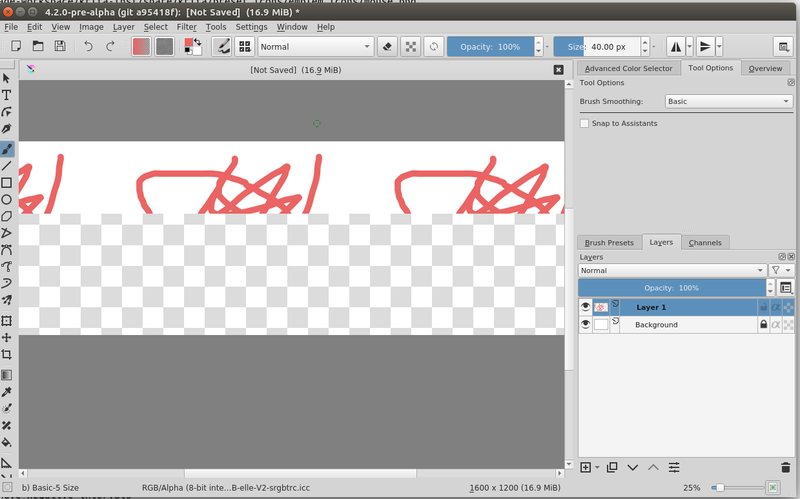 the horizontal and vertical modes should also load now when you exit krita and restart. Hm... I am not sure if it is wise to have this patch if it only changes the wraparound view but not the wraparound strokes. 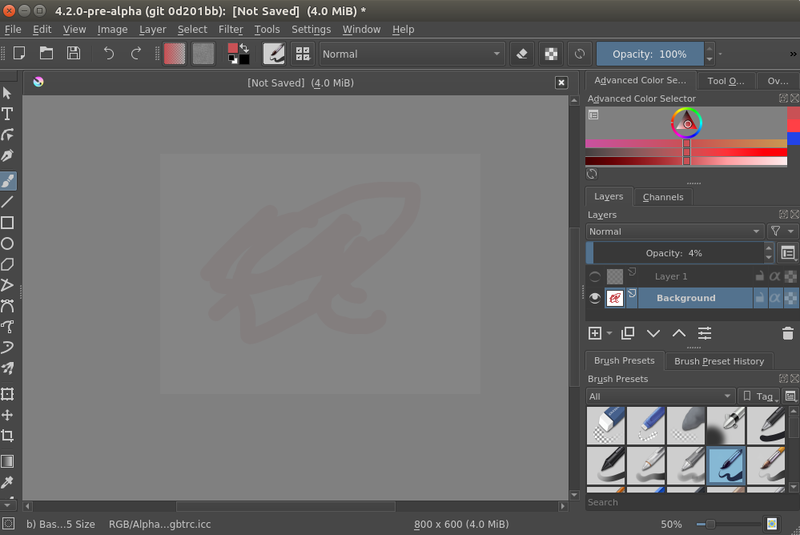 I can understand however that this is in a completely different part of Krita and thus is maybe worth a seperate patch? Where is the wraparound for strokes defined anyway? Basically, pixel grid problem is the only blocker from my side. I guess you just followed example of enablePixelGrid(), but that one should also be converted to the standard naming (we seem to have missed that when reviewing that patch). Hm... I am not sure if it is wise to have this patch if it only changes the wraparound view but not the wraparound strokes. It might be a kind of compromise. Perhaps wrapping view only would be enough for painters... I would prefer to ask @gdquest and @Bollebib about that. @gdquest and @Bollebib: How do you think, would it be enough for the painter if we implemented one-directional wrapping for view only? That is the brushes would still wrap over both axes, but the canvas will be tiled in both directions? Strategies create different kinds of iterators, that wrap over the sides. There will also be some tricks with updates. See all usages of KisWrappedRect object. The pixel grid I think is working now as well. I also renamed that setter in the config. I did not add the stroke limiting element to this patch though. Maybe I could do that in another patch if people want that type of control. That also might take me a bit of time as it is in a scary part of the code. I have a feeling that the checkers are just collapsed into a single pixel, thoughI'm not sure. Do not store calculated temporary values anywhere outside minimally necessary scope. The values should be discarded right after they have been used. If the values are still need to be stored for caching reasons, ensure either that the values are in always valid state or there is an explicit mark that they are dirty. In the case of activeCanvasArea and canvasWidgetRect, they should be automatically regenerated (or marked as dirty) every time the canvas widget is resized or image is resized/panned/zoomed/rotated. That is quite a lot of (unnecessary) work. And, yes, without storing the temporaries the calculation method becomes 'const', which is exactly what it is semantically.